For most routes, "Due to extreme weather, service is canceled." For about 26 of them, "Buses are running today, however the frequency of service will vary depending on road conditions." 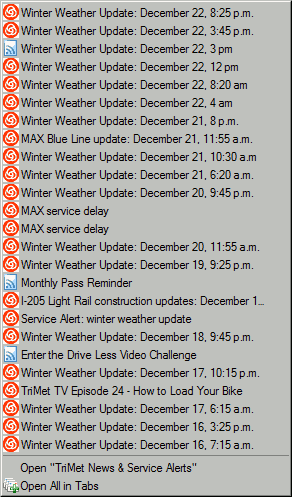 Overall, I like how they put "extreme weather" and "Buses are running today". 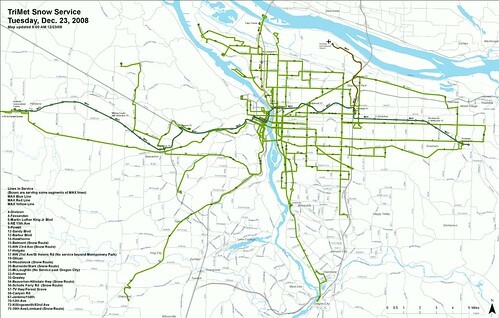 They also made special PDF maps showing only the routes that were running.